TestoFuel Review: My Results Revealed – Does It work in 2019? TestoFuel is a natural testosterone boosting supplement that promises to deliver muscle and strength gains. That sounds really good, right? But does … [Read more...] about TestoFuel Review: My Results Revealed – Does It work in 2019? Testoboost Review – Can the Ingredients Cause Side effects ? 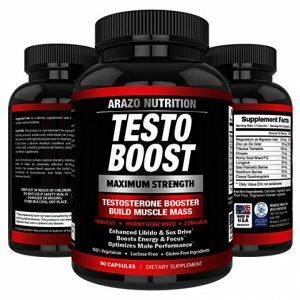 This Testoboost review will lift the lid on this testosterone booster! It’s definitely essential reading if you are considering taking control of your … [Read more...] about Testoboost Review – Can the Ingredients Cause Side effects ?